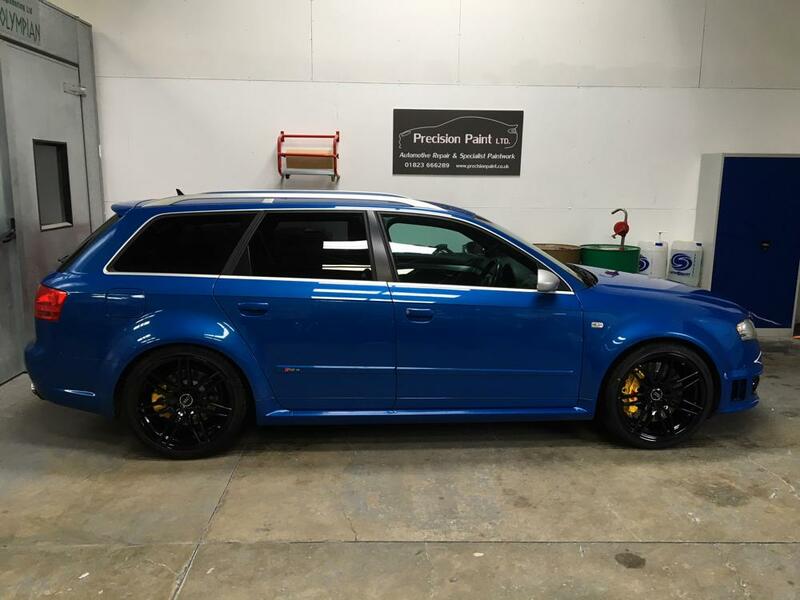 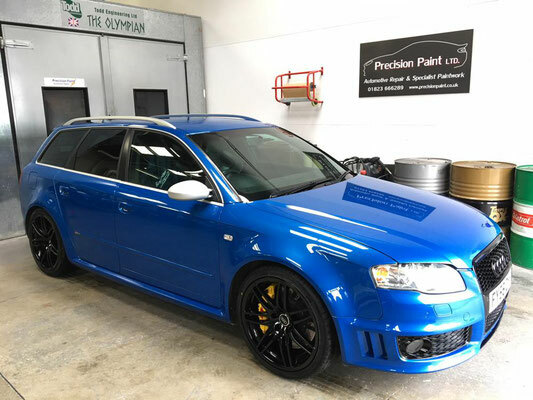 Small custom changes have made this RS4 look truly mean and unique! 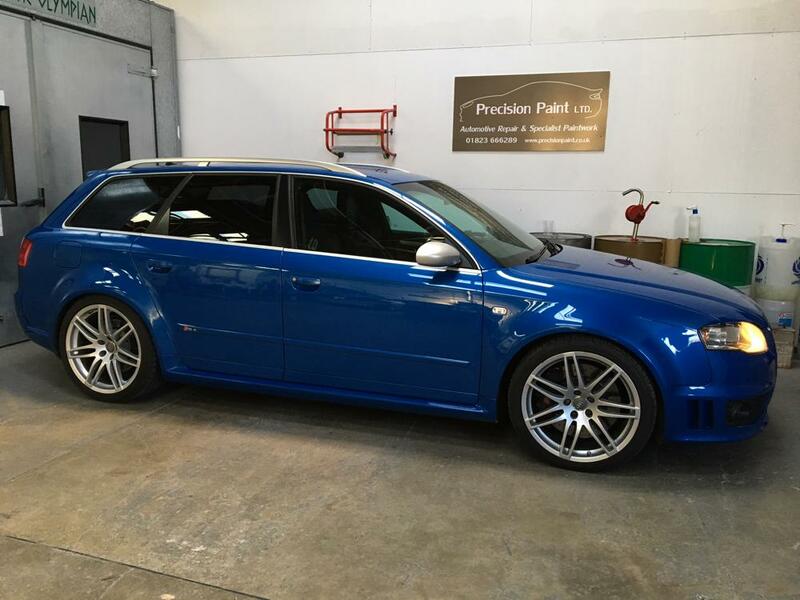 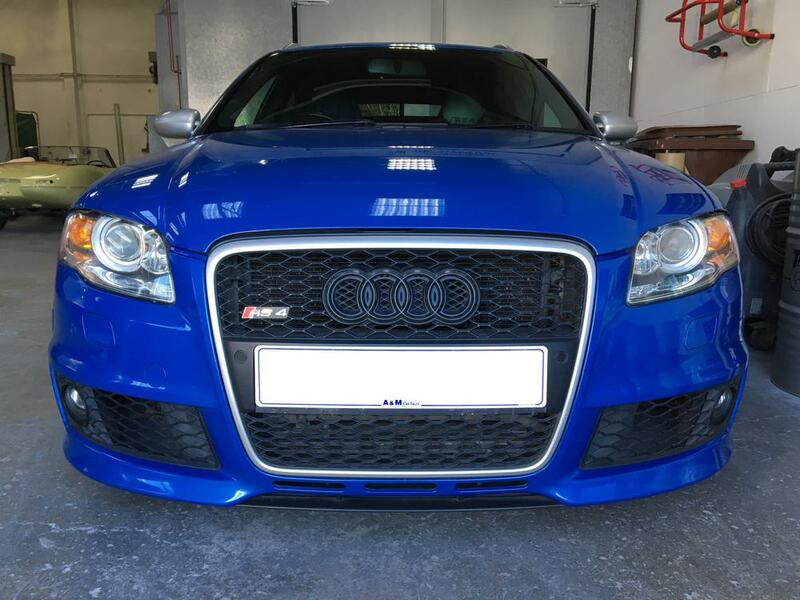 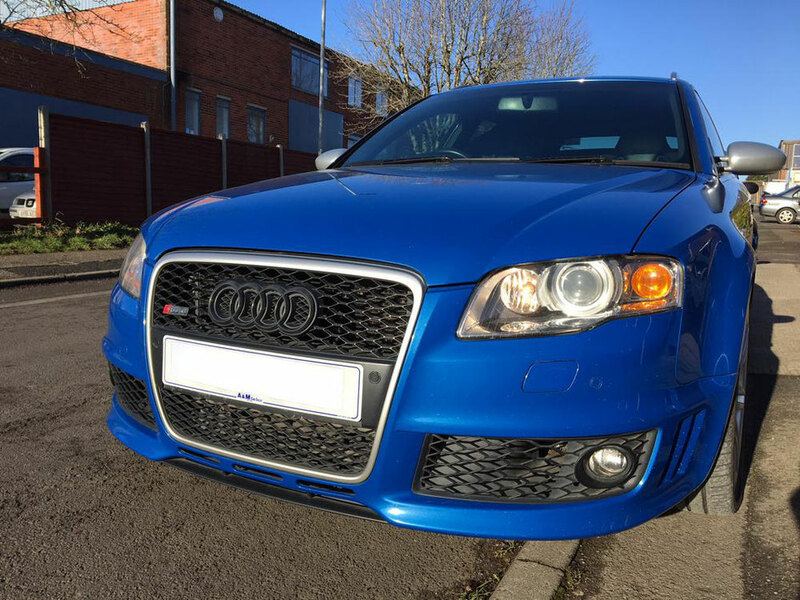 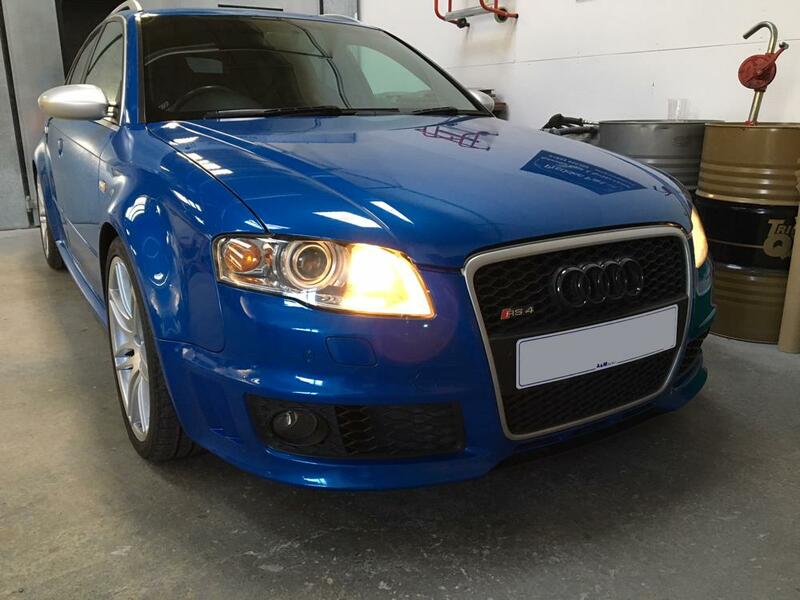 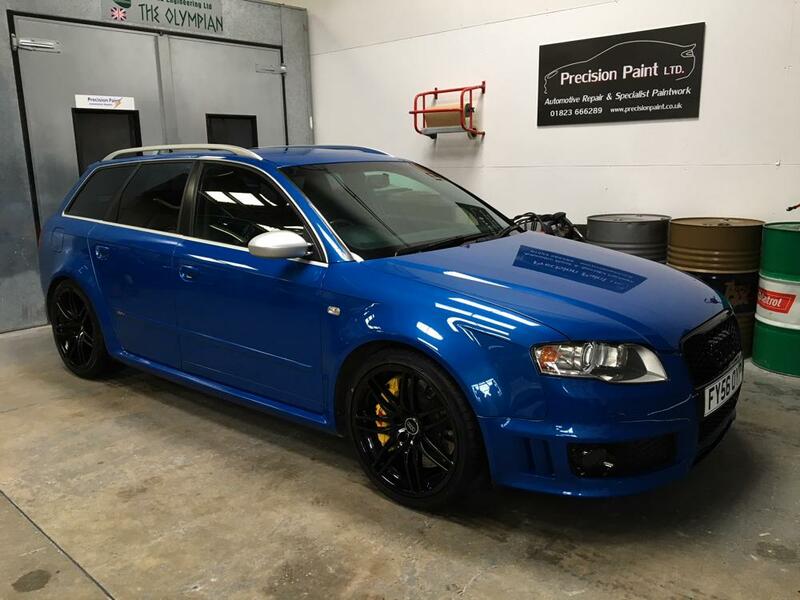 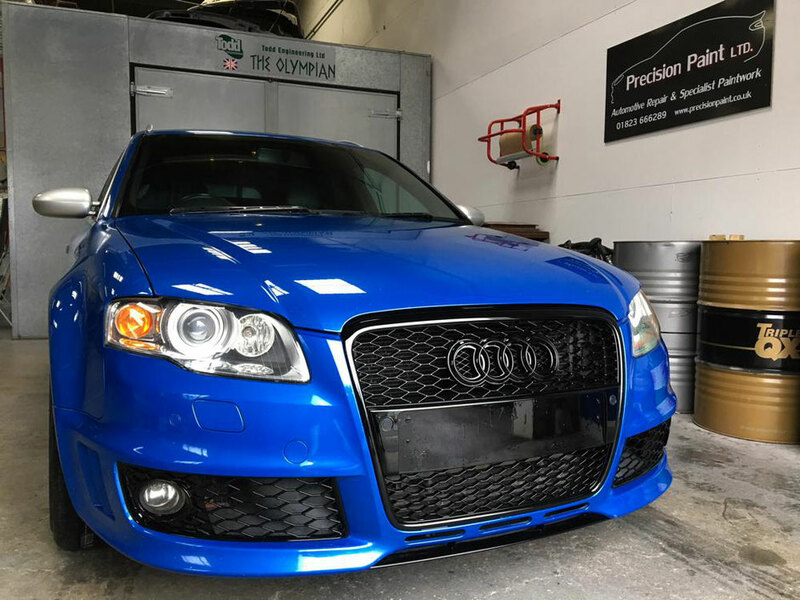 This audi RS4 has been in for some light damage repair and also some customisation. 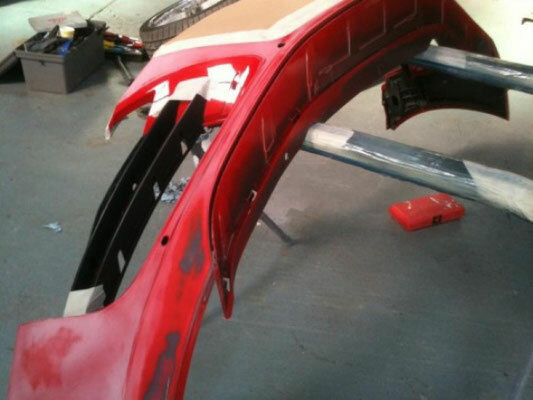 With the damage being repaired, the front grills and splitter have been painted gloss black. 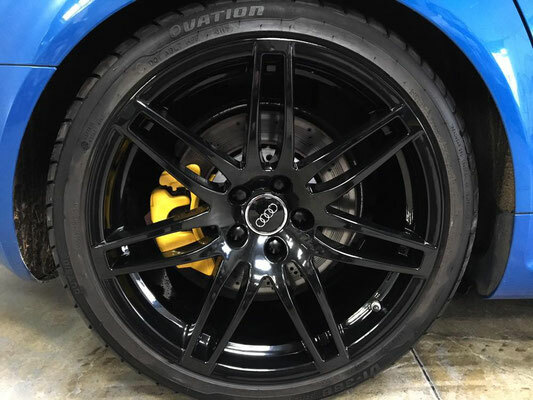 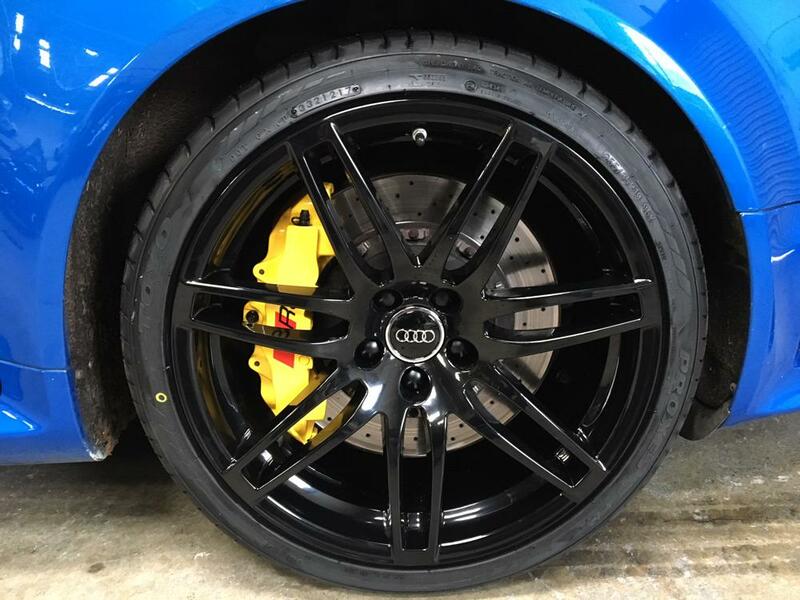 The brake calipers have also been refurbished in a bright gloss yellow (by us) and the wheels refurbished in gloss black(out of house). This RS6 was in for light damage repair. 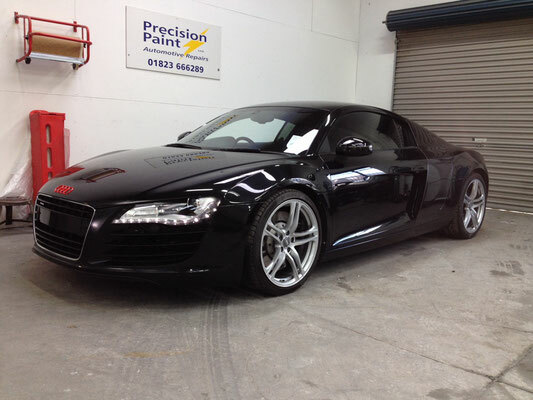 However is now back on the road and looking stunning! 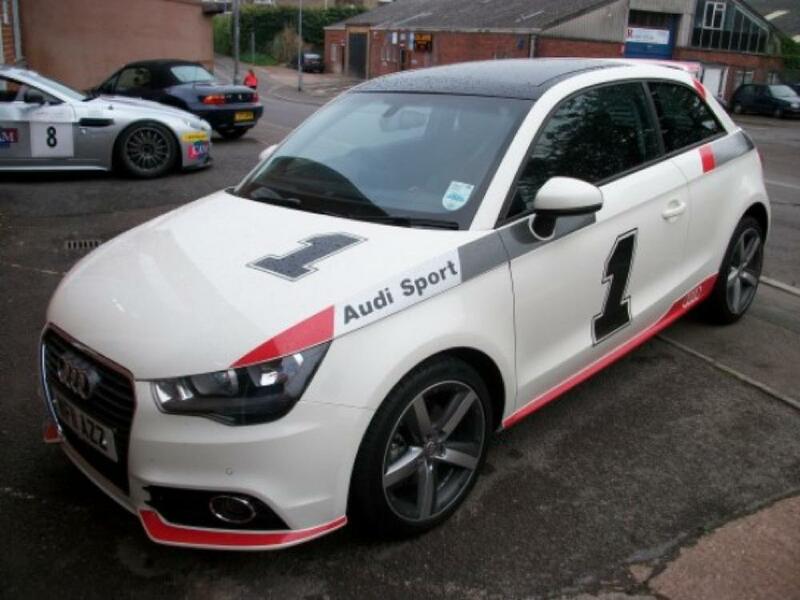 This high-end Audi A1 is a limited edition, supplied with stickers around the trim as standard. 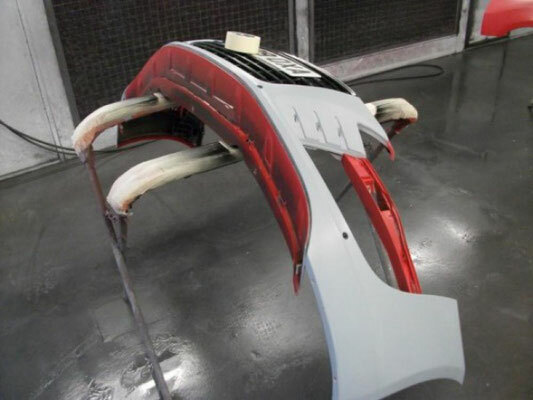 At Precision Paint also take on projects that involve just parts of the car – rather than full body work. 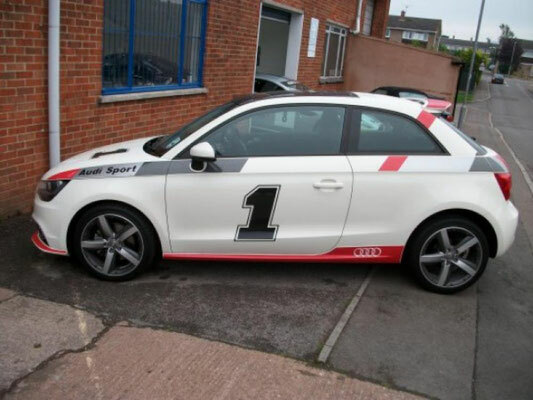 The owner of this particular Audi wanted the stickers removed on the side skirts and lower trims and replaced with a paint finish. The result is a better look that ultimately will be longer lasting. See our gallery below. 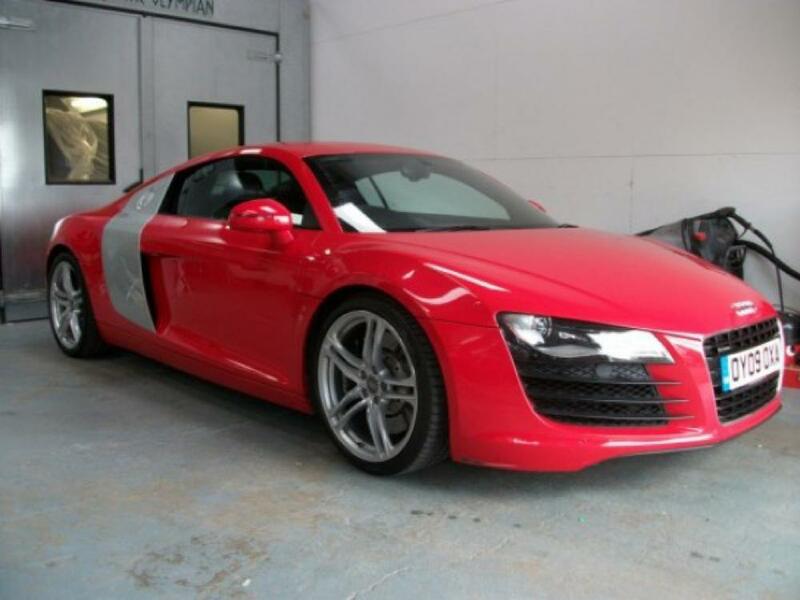 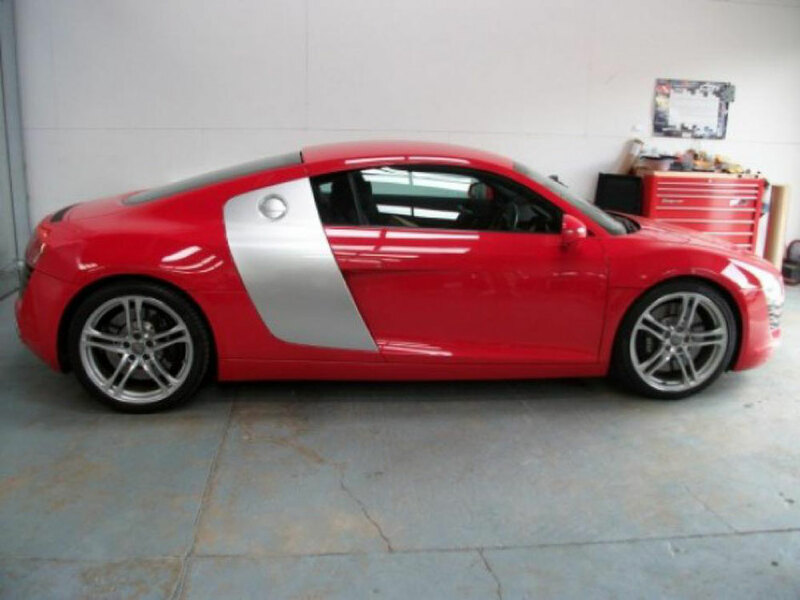 The Audi R8 is a high end sports car that is considered to be a rival to the Porsche 911. 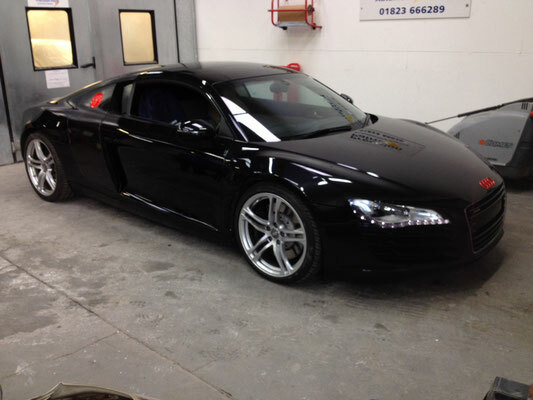 Quite rightly the owners of such super-cars seek an immaculate finish to the paintwork. Being a such a low, fast car, the R8 has the tendency to pick up stone chip marks and scratches on the bottom and across the bumper. 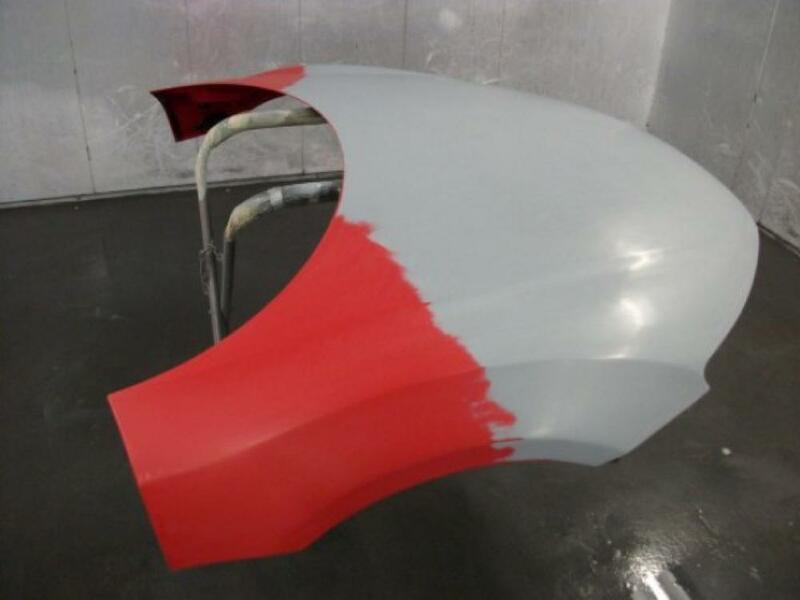 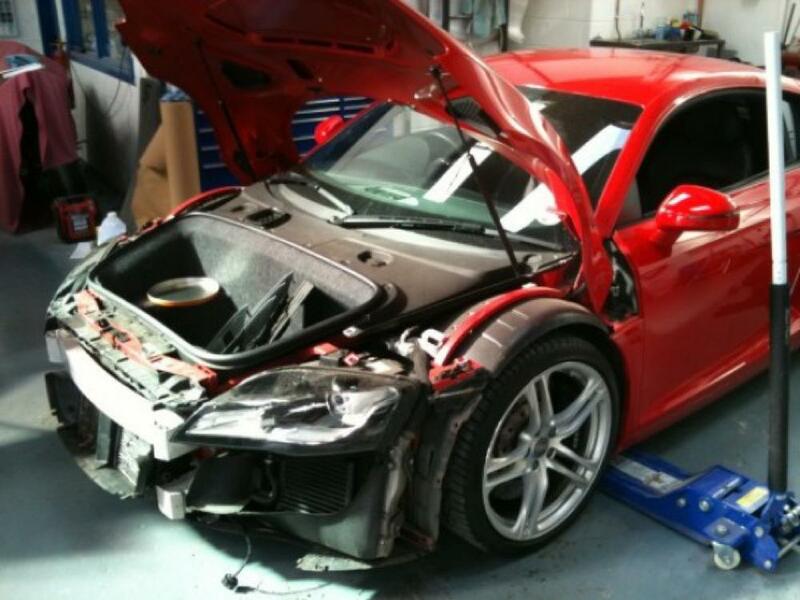 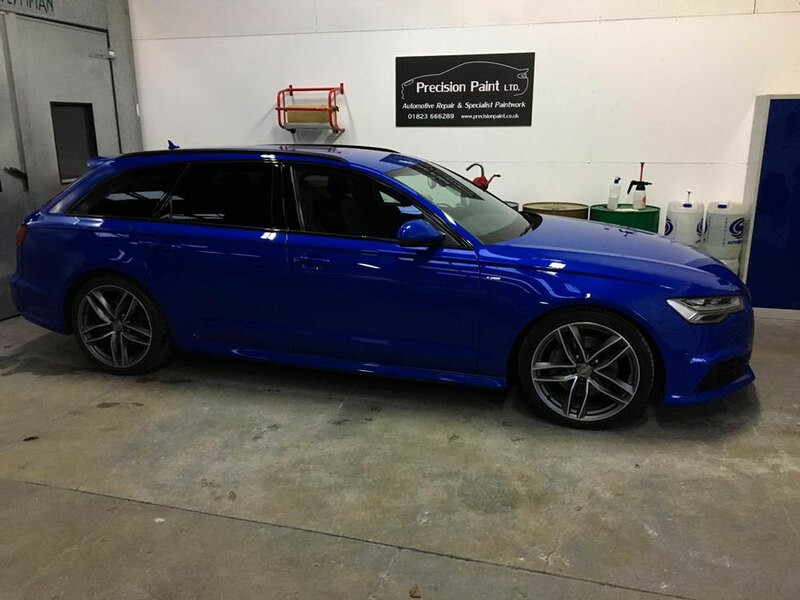 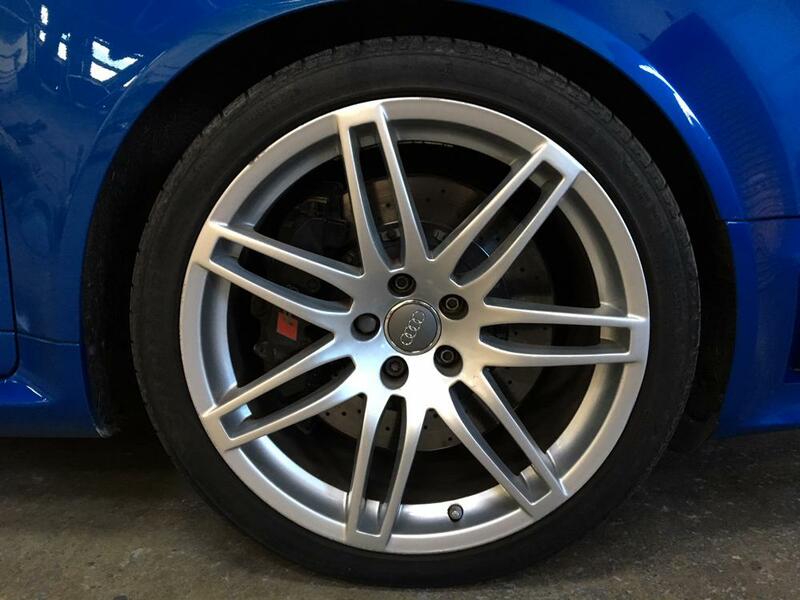 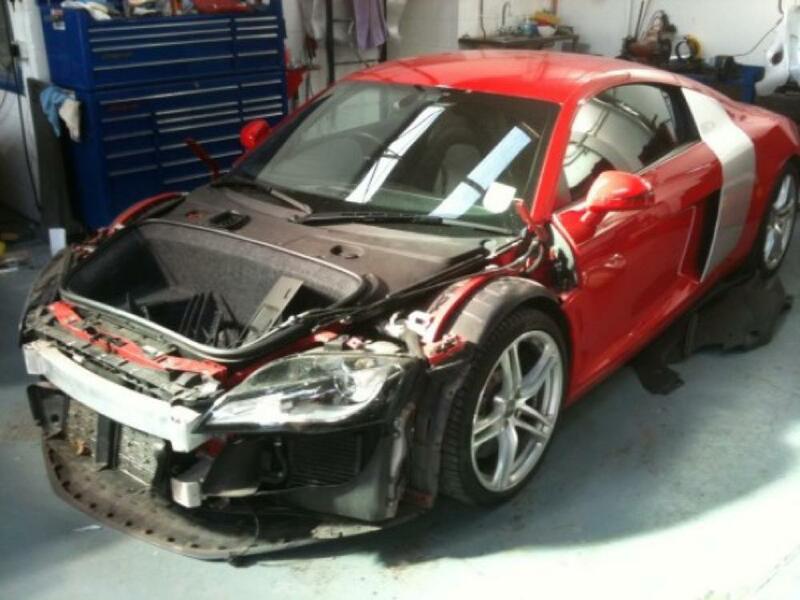 The team at Precision Paint can restore the paintwork, which ultimately helps the car to hold it’s value. 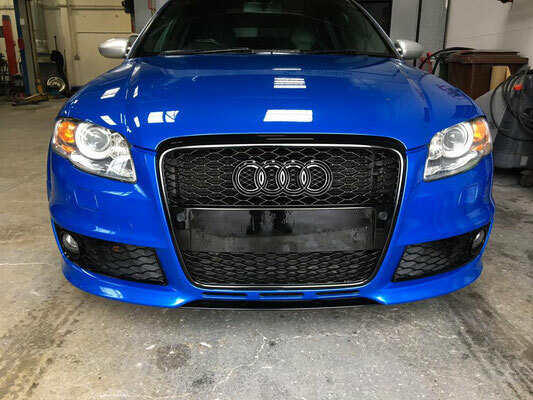 See our gallery below.